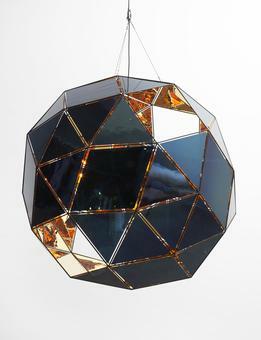 Suspended from the ceiling, Glowing core planet is a many-sided polyhedron constructed from a stainless-steel framework and panes of hand-blown glass. 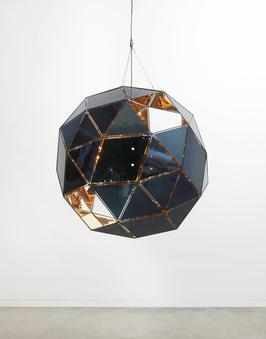 The triangular and rhombic panes are made from blue glass that has been gilded on the side that faces inwards. 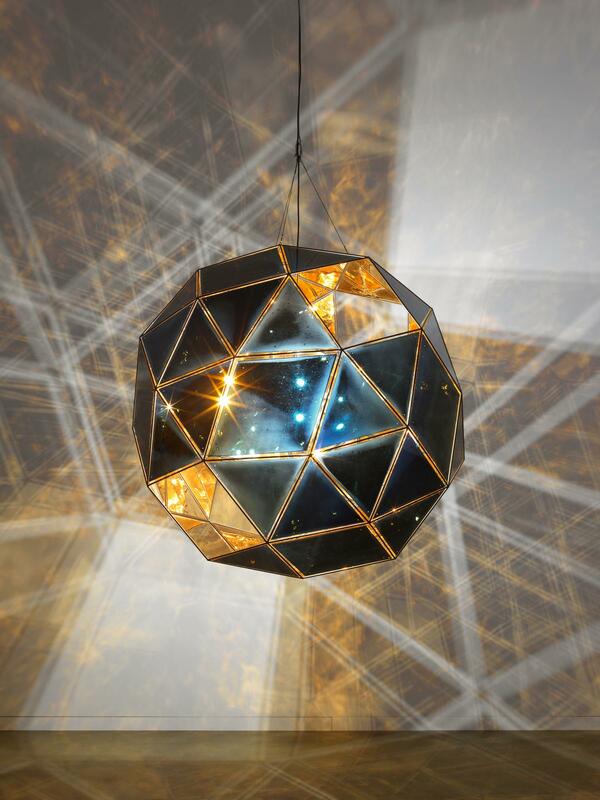 The open space at the work’s core accommodates an LED lamp, a bright point of light that is multiplied within the reflective gold surface that defines the work’s interior. 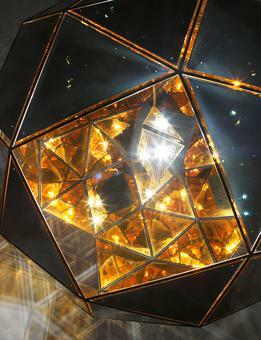 Square openings in the structure allow light to shine out and viewers to catch glimpses of the complex space within.